Home » Janie’s Blog » New discovery about low magnesium & oxalates, plus a GOOD UK article, and when your spouse is hypo and wants out of the relationship! HAVE LOW MAGNESIUM LEVELS AND SYMPTOMS? Do you have a hard time raising any of your mineral levels? I have been working to raise my miserably low RBC (red blood cell) magnesium levels for a good year. And in spite of a strong commitment to my magnesium supplementation as well as oil, I continued to have typical low-magnesium symptoms–most especially lower leg cramping after hiking or heavy duty activity. Why was that? I think I may have discovered one contributing factor, and this may or may not apply to you. It’s called high OXALATE food consumption. Oxalate is an “organic acidic salt compound” commonly found in foods of plant origin. It’s also produced in your body by the metabolism of glyoxylic acid or ascorbic acid (vitamin C). And it is normally excreted out of your body via urine, and sometimes the bowels. Of course, I am only proposing this may be why I’ve had a hard time bringing my magnesium levels up. Please do your own research. What are foods which are the highest in oxalates? almonds, amaranth, black beans, brazil nuts, beets, blackberries, buckwheat, carob chips, carrots, cashew nuts, cannellini beans, celery, chocolate, corn meal, dried apricots, cooked tomatoes, great northern beans, green peppers, hazelnuts, marshmallow root, milk thistle, navy beans, oil of oregano, okra, peanuts, pecans, pine nuts, pink beans, pinto beans, potato chips, potato flour, rice bran, rhubarb, sesame seeds and tahini, slippery elm bark, all soy, spinach, star fruit, sweet potatoes, teff (flour and whole grain), quinoa (whole grain), white bean flour, and yucca powder. I am currently on a low oxalate diet (besides a great herbal blend four times a day to counter the itchiness and histamines). And I am curious that by lowering oxalates, I just may finally be able to get my magnesium levels up and far faster. We’ll see. To see a good blog post and list of oxalate foods (high and low), called Roo’s Clues, go here. And for more to the oxalate story, including its connection to autism, leaky gut, depression, kidney stones, yeast overgrowth and arthritis, read this. B6 is also crucial in lowering oxalates. P.S. Here’s research that may underscore a relationship between oxalates and mineral loss. The problem with research is that one study will say one thing and another will say the exact opposite! So you decide! If you know of more research on this topic, let me know and I’ll add it. UK thyroid patients are clapping at the latest article which appeared in the July 3rd “The Mail”, a UK based, Sunday only magazine. It’s titled “For Twelve Years I was a victim of The Great Thyroid Scandal” by Matthew Barbour. You can read its entirety here. Over the years, I’ve gotten several emails, and mostly from men, who are emotionally suffering. But it’s not because they themselves are hypothyroid. It’s because their spouse/girlfriend is, and many of the latter seem to be in the throes of adrenal fatigue and low cortisol, as well. The correspondents all seem to love their spouses dearly. But their spouses are defensive, over-reactive, paranoid, depressed and/or reclusive—all typical symptoms of having low cortisol. Depression is especially a problem even for those who just have undiagnosed or T4-only treated hypothyroidism. And most all of those who email me are facing extremely unhappy relationships at the least, and pending divorces at the worst, even while still loving their spouses and wanting to stay married or connected. I found out in 2016 that I had a problem with excess oxalate depositions in my body. I never had kidney stones; but the oxalate seemed to build up in my tendons, ligaments, muscles, skin, and possibly other areas ( like thyroid and adrenals). I began taking Liothyronine in April of this year, and hydrocortisone. It wasn’t long before I began to notice that I was dumping oxalate more and more. I began to cheat on the low oxalate, and still I was dumping and feeling notably better. As I continued with the Liothyronine and hydrocortisone, the dumping continued even though I was eating a few foods (daily!) that were high in oxalate: hot chocolate, white bread, carrots, baked potatoes( not boiled) with the skins on, cookies, chocolate candy, tomatillo-jalapeño salsa, etc. It dawned on me that for some reason, optimal (or at least substantially higher) Free T3 levels facilitate oxalate dumping and also seem to prevent oxalate absorption or deposition. I can’t say that this will be the case for everyone…but this is what happened to me. I am baffled as to why. My only theory is that low levels of thyroid hormone in the body cause such low energy, that our cells are too weak to prevent oxalate deposition or absorption. Once our cells have adequate thyroid hormone levels, they then have the ability to prevent oxalate absorption. I wish there were some scientific studies regarding this! Oxalates happen to be in the most nutricious foods we can have. It is unfair to eliminate them because we ignore the real cause why oxalates become a problem. -the duet is present: low calcium and low magnesium intake. -bile is poor , so liposoluble vitamins a,e,d and k get glued on the sides of the toilet bonded to calcium, fats bind to calcium because mg is not present as a carrier to calcium to the proper places. Bile is suppose to detox oxalates with the help of triglycerides and cholesterol. In the presence of poor or no bile,oxalates are free in the system and can lodge in any organ, but kidney tubular menbranes are so tiny that oxalates get trapped there. When calcium is so miserably wasted when bonded to fats, parathyroid leaches calcium from bones to compensate and in doing so for years parathyroid gets out of control and calcium is oversupplied and free to form calcium oxalates in the kidneys. -We as humans have lost the most important oxalate degrading bacteria….Oxalobacter Formigenes. BUT there are very well known degrading bacteria readily available in many probiotic supplements, that reduce oxalates up to 75/100 in very well documented investigations in pubmed. -When magnesium is not available is just a miserable scenario. The best way to bind oxalates is to supplement calcium without vit d along with foods, but again calcium supplements are dangerous and may well bind to oxalates and be excreted and still be sufficient to be free and calcify the system. There is no way to control this mechanism. -When magnesium is available in sufficcient quantities given the case that due to the excess calcium and absortion defficiencies, mg is very tricky to absorb, but since mg toxcicity only produces loose stools,we can overdose a bit and make sure we have enough to bind oxalates and be excreted since mgoxalates are about 567 times more soluble than caoxalates according to wiki. They note that it is a doubtful source, they know that mg is a far better oxalate binding mineral than calcium without side effects. They are just guarding their jobs paid by big pharma, they still mention this incredible advantage of mg over ca just in case the american people claims for their right to know this fact. outcomes when it is not taken with hesperidin and rutin found in fruits and vegetables. vegetables to complete the detox process. Enjoyyyyyyyyyyy”…..”……. coupled with magnesium will be available for the squeleton. that are the backbone of any hormone regulation. Please google this subject. of the whole protocol at that time and I feel honored to share what I found. taking control of the health of your loved family. Can you Wright what brand of probaiotic good for oxcalat? Hello. Thanks for the helpful info. Has anyone experienced urinary frequency, urgency, constant burning, rectal burning from routinely eating: kale, spinach, almonds, wheat, wheat grass juice, lemons, apples, strawberries, raspberries, etc.? My symptoms went away after a grueling year and then suddenly returned after taking supplemental vitamin C needing it for mentioning foods? This is why we have given RED MINERAL ALGAE to our child often…. to give him extra minerals that oxalates could bind to and be flushed out with… to avoid kidney stones. At times, we’ve needed to give him some of a particular food that is very high in oxalates for medicinal reasons so I researched how to handle the oxalates. The mineral I was directed to increase was calcium but it HAD TO BE A NATURAL FORM in order for the oxalates to bind to it and leave the body. Hence, the Red Mineral Algae… which also contains some magnesium I believe. We also give our son mag and other minerals. I had a parent tell me that they read my comments on a list and they tried the Red Mineral Algae because their child was having stone issues and the stones stopped. Yay! So lowering oxalate intake is good, but when it’s not possible then increasing minerals can be good if handled properly. And there are other articles which say it does treat scurvy. lol. Lots of different opinions out there. I am dealing with thigh muscle pain, in specific spots on both thighs, as well as an intermittent “rippling” muscle feel. I’ll lay down and it feels like my large muscles all and my body take turns twitching in a big way. I’ve noticed that high oxalate foods seem to be connected to this weird, almost allergic type reaction I’ve been having for the past year and a half. I get light headed and panicked shortly after eating HO foods, as well as sores in the back of my throat. I take antihistamines such as Benadryl to cope until the panic subsides. I’ve only been diagnosed with a house dust mite allergy, no foods. I’ve gone to the Dr repeatedly for an enlarged feeling thyroid, but everything always comes back in the normal reference ranges. Like, I can feel the right side of my thyroid when I swallow a good amount of the time, usually becoming more pronounced during PMS and not letting up until the week of ovulation. I am off of gluten and dairy, save for clarified butter, and joint pain has mostly gotten better. I just feel like a mess much of the time. I’ve been on a very frustrating and misunderstood journey, and I’m looking for some additional information to share with my Dr, if he’ll read it. Kati, doctors are quite misinformed on how to read lab results. They have nothing, nothing to do with “falling in the normal range”. This page should help: http://www.stopthethyroidmadness.com/lab-values Also sounds like you need to be doing both thyroid antibodies labs: http://www.stopthethyroidmadness.com/recommended-labwork What to share with your doctor?? This: http://www.laughinggrapepublishing.com and pray that he’ll take the time to read them. Kati Progressive medical center in atlanta ga.
Second request. What about almond milk? Is it safe to use? Betty, most folks can tolerate some amount of oxalates. It’s when you overdo it that a problem can occur. These grains/seeds/nuts can be soaked for 12-24 hours to help lower phytate and oxalate content, plus boiling the high-oxalate food for 15-20 minutes, then dumping the water will lower the oxalates, and finally, Susan Owens, leader of the low-oxalate group recommends taking calcium citrate with foods that contain oxalates, as it binds with the oxalates, preventing their absorption. Funny how she failed to mention that. I find T3 quickly depletes the CoA nutrients. These are very important for handling oxylates, histamines etc.. Biotin is one of these that is very important along with b5, thiamine etc. I also wonder if some have or have triggered the thiamin/biotin SNP SLC19A3 gene mutation. The cocoa covered almonds sound yum! I am hyperthyroid, having various symtoms with oxalate consumption, and had low magnesium. I am taking mag citrate powder 3x day and it has eliminated most of the severe symtoms I had- cramps, depression,urinary pain and frequency, and night sweats. Started trying to add higher oxalates back in and started having mild cramps and sweats despite taking the mag. I am trying to figure out if the thyroid is causing oxalate prob or vice versus or if it is the mold I am being exposed to as mold contains oxalates and mold spores go into you body and attach to tissues. This is fascinating. So many pieces falling into place. I know my oxalate stores are high. I am slightly confused about how Vitamin C plays into this and how it should play into my getting well (adrenals AND hypothyroidism). In part, I walk away from this all in great discouragement –every time I find an answer or puzzle piece, it ends up having another side that in turn hurts my health! Very frustrating, even though I keep pushing forward, searching for answers. It’s quite a messy conundrum, though, healing our bodies again! The vitamin C issue is all about how vitamin C will readily convert into oxalate after it has been used as an antioxidant, converting first into dehydroascorbic acid. I’ve analyzed more than 600 of the Great Plains Organic acid tests and have spoken one on one to most of the people who have sent the test to me. They told me about what their doctors were prescribing and what changed between repeat tests. Dehydroascorbic acid cannot be converted back to ascorbic acid without antioxidant help from a different antioxidant, which often is not available because it was already “used up”. I found a study years ago that analyzed in tissue studies how well urine ascorbic acid represented the ascorbic acid in the body’s tissues. The conclusion was that urine ascorbic acid did not represent the level of ascorbic acid in tissues in the body. I can tell you that I have often seen very high levels in urine in people who were not supplementing at all. There are many problems with thinking this marker will tell you whether you need to supplement vitamin C.
Approximately 22-66% of ascorbic acid you ingest will eventually turn into oxalate as calculated by using chemically labeled ascorbic acid which could be identified as coming from the dose after it converted into something else. The oxalate formed from vitamin C is a powerful pro-oxidant, causing increased superoxide anions, lipid peroxidation, competing with glutathione for entry into the mitochondrion, and disturbing the function of many mitochondrial enzymes….leaving tracks in changes in other analytes on the organic acid test. These effects may not happen for weeks after you took the vitamin C, which is why no one noticed the relationship except in dialysis patients, where the problem became obvious because dialysis doesn’t remove oxalate very well. Great Plains will recommend taking vitamin C when ascorbic acid is reported low, but these are patients who actually need much more antioxidant protection by OTHER means because adding ascorbic acid into this environment can backfire. I took a look at my own data to see whether ascorbic acid might be effectively reducing oxidative stress. To do this, I sorted my whole database of data from the organic acid test by the level of ascorbic acid. I made a graph so the highest secreters were on the left of the graph, and then on the same graph, I showed the levels of pyroglutamate for each level of ascorbic acid. Pyroglutatmate is a key indicator of oxidative stress in the body. The pyroglutamate graphed as a narrowly sawtoothed line, but the whole line was totally flat against the curve of the 200 highest OATs in vitamin C…so it was showing that pyroglutamate levels were unaffected by the increased levels of vitamin C. That graph was certainly suggesting that the high ascorbic acid many doctors were recommending did not seem to be making ANY difference in oxidative stress as indicated by that marker. I think it makes much more sense to use the other antioxidants and not to get the proportion of ascorbic acid any higher than the proportion by which it is used in reactions with other antioxidants in the body. This issue has gone under the radar because of the intensely strong beliefs in high dose vitamin C. The data I am seeing is not supportive of high doses working long term because the conversion to oxalate takes place so long after you take the vitamin C and keeps on happening for more than two weeks for whatever vitamin C is retained in the body. Please search on pubmed for “ascorbic acid and oxalate”, but realize that if the studies did not measure oxalate for two weeks, they may have missed a great deal of what was converted from that dose. The studies found that the proportion of ascorbic acid that converts is related to how seriously in oxidative stress somebody is. I’ve watched a child with autism change for the better behaviorally like magic after being given a vitamin C push when a parent asked me to go with her to a doctor’s office to witness this, so I know the immediate effect of vitamin C is often very positive. It is just very sad that this vitamin has this secret backlash that apparently may keep someone in oxidative stress for a long, long time depending upon other antioxidant resources in their body. The other issue I wanted to bring up is the candida. 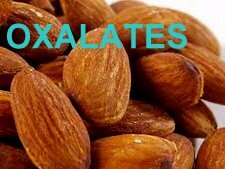 Oxalate getting high breaks the function of carboxylase enzymes which help protect us against candida. While oxalate is still high in cells, this situation can be helped by high dose biotin. Even so, as people do the low oxalate diet, typically their yeast issues will go away on their own with no treatment. The Vulvar Pain Foundation also made this observation in thousands of women on the low oxalate diet. The science of why this works is complex, and more than I will talk about here, but it does involve oxalate likely tangling with a microbial barrier that is designed into the way the gut functions in a way that is likely disturbed by high secretions of oxalate into the gut from the blood….a process that the body uses to protect the rest of the body against high blood levels of oxalate. delivering the oxalate to the gut to be degraded by our flora. So urine is NOT the only place that oxalate is secreted. It is also secreted into the gut, into the lungs, and into the skin. In our study in the European Journal of Paediatric Neurology on autism (http://usautism.org/content/PDF_files_newsletters/oxalate_and_autism.pdf) you can see that the ratio between blood oxalate and urine oxalate is anything but one to one. There was a sixteen fold difference in that ratio among the children with autism. That means measuring oxalate in one place does not predict the level in the other place. This is a very complicated system which you can read more about at http://www.lowoxalate.info, a site that will very soon be updated to be much more user-friendly. But so far, when doctors or parents have sent me before and after antifungal therapy OATs, they reliably show a MUCH WORSENED level of oxalate after antifungal therapy than before and this week I also talked to a mother whose daughter started showing astonishingly high levels of oxalate and its related markers after treatment for lyme disease by powerful antibitotics. The mom was distressed that the lyme markers had not changed, but the oxalate markers soared, and her child has lost a great deal of motor strength and coordination since the antibiotics were started. In many children, antimicrobial treatment seems to put some of these children in so much increased oxidative stress (from what I take is the effect of the drug on the liver) that no matter what they do to address this, the situation of increased oxidative stress and increased oxalate goes on and on…and this is in children whose previous OATs showed that before this they did not have a very bad problem before. In one girl who had been on a low oxalate diet for at least a year her oxalate and oxidative stress was low before a high arabinose on an OAT persuaded her doctor to treat yeast, but that child’s levels of oxalate haven’t come down in subsequent OATs for about two years despite Herculean efforts to correct it. This is why I think it is prudent to check out in the peer-reviewed literature to see if there is support for candida specifically making oxalate. Candida does sometimes find oxalate crystals in the kidney because it is attracted to the calcium the oxalate binds, but that is all you find….no proof that anyone has found it makes oxalate. One of the things that makes understanding this area tricky is that oxalate has been found to change drastically the secretion of creatinine into urine. This can make everything in the OAT look like it has fallen below the reference ranges, when what changed is actually that a lot more creatinine was secreted. Labs began normalizing urine concentration with creatinine because someone in about 1918 thought that creatinine was neither secreted nor reabsorbed in kidney tubule cells. That is now known to be completely wrong, and it especially has led to many misinterpretations on lab tests ratioed to creatinine and especially in people with oxalate problems. It looks like so far from lab tests I’ve seen that creatinine, under the influence of oxalate, increases much faster than oxalate itself, which makes its levels when it is reported ratioed to creatinine, look like they went down when they actually went up, This is a real mess! So much of the important science is not known by many of the people who are beginning to make comments about this area on their websites. This week I had to write two major health sites to complain about information that was not correct because the authors of the articles were grabbing their information from the rumor mill. Please be careful where you get advice and notice whether it is backed up by studies, and take a look at the studies. You can keep up with the scientific and practical developments in this field at http://www.lowoxalate.info and our yahoogroup set up for people trying to reduce oxalate. There you will find great support, and plenty of help for “newbies” at Trying_Low_Oxalates@yahoogroups,com which now has close to 6000 members. Hi CJ… I just started having the same problem you have. I speculated that I have bladder inflammation, urgency and pain, due to taking a 3 week course of fluconazole( which I took to kill Candida in my intestinal tract).Several weeks later I came down with this awful condition … Know as interstitial cystitis. 6 weeks now and I don’t know what else to do. But this article has given me great insite. To add to the problem, I was taking 16 grams of buffered powdered vitamin C every morning on an empty stomach, for the last 5 months, to stop the herx reaction I was getting from taking a teaspoon of Raw Apple cider vinegar. I know know that the fluconazole therapy must have killed the yeast but also the good bacteria in my gut that is responsible for eating oxalates. That bacteria is called O. Formiegenes and I read that you can find it in raw grass fed cow milk. However, I am afraid of drinking the raw cow milk because 2 months ago I took a 500 mg pill of collustrum and had a horrible 4 hour die-off that I had to go by ambulance to the emergency room. So now after reading the article, I’m going to try taking a little bit of a chelates magnesium glycinate pill to see if it will drag out some of the oxalates and give my poor bladder some relief. I also know that I have high oxalates from taking the ORGANIC ACIDS TEST or OATS for short, from the Great Plains Laboratory 4 months ago. I didn’t know what they were back then. Now I am angry about my foctor giving me the fluconazole because it has done more harm then good. I know I am super high in oxalates now too because not only am I having the bladder problem but also all my joints hurt and my neck and nerve damage I have has flared up and it’s just one thing after another. At least NOW I know why! Please feel free to email me at Sugarbabyxoxox@aol.com. I’d love to know what’s working for you. 🙂 I’m so scared now that following this protocol has messed my gut up even more.. I have some saurkraut fermenting so I’m hoping if I start eating it everyday that it will help populate with tons of good bacteria and gets me back on tract and feeling better. Will try to update as time goes by…. How do you square this article with your previous one, “Why do some patients escape adrenal dysfunction? ?” That article says you should supplement Vitamin C to support adrenal function, while this one says you shouldn’t to avoid oxalate formation. Interesting post. Thanks! I didn’t realize there was a possible connection between oxalate issues and thryroid issues, although it makes sense in my family. Three generations of women in my family have had severe oxalate problems (only I follow the low oxalate diet though) and thyroid problems (very severe in my grandmother). I’ll have to research this further and add the connection to my blog’s resources site (please let me know if you can suggest a great article or website to link to). I am having problems like the ones in this article! I actually have Hashimoto’s so I will stay posted! Thanks for all ine info. Chris…. WAIT: i just didn’t notice that you just quoted the lab in the post! I noticed it after writing my reply! lol! This is interesting. Lately I’ve been having leg problems – I wouldn’t really call them cramps – but my legs feel tired all the time. I feel like I’ve been out running when I haven’t even left the house! Just walking up the one flight of steps to my house burns in my thighs! And I broke out in hives last month for the first time ever. I had been taking magnesium but got lazy about it – time to start taking it again! Great work with your Stop The Thyroid Madness newsletters! Alterations reciprocal T3 and rT3 relationships are found in liver disease (Recenti Prog Med 1990;81:351-55), kidney disease (Ren Fail 1997; 19:129-136 Chung Kuo Chung Hsi I Chieh Ho Tsa Chih 1993;13:155-7) severe or systemic injury (Clin Endocrinol 1982;16:565) and toxic metal exposures (Comp Biochem Physiol C Pharmacol Toxicol Endocrinol 1999;123:39-44; J Appl Toxicol 1998;18:317-20; Toxicology 1997; 124:203-209; Occup Environ Med 1994;51:536-40). If we only use HRT via thyroid hormones to correct a deficiency in T3, a lot of scientific evidence tips the scales in the “false” direction with regard to this idea as the core issue of impaired T4 to T3 conversion is never addressed. The liver plays a dominant role in the metabolism of thyroid hormones via deiodination, conjugation, deamination, and decarboxylation enzymatic reactions. Correction of altered metabolism can significantly impact the quantity of thyroid hormone metabolites influencing cell function (Altern Med Rev 2000;5(4):306-33).The activity of hepatic antioxidant enzyme systems and lipid peroxidation influences the peripheral metabolism of thyroid hormones (Br J Clin Pharmacol 1983;15:71-76. Thyroid 1997;7:655-668. Chem Biol Interact 1994;92:293-303). Both Multiple Chemical Sensitivity (MCS) or “euthyroid sick syndrome” (ESS) are correlated with “low T3 syndrome,” and poor hepatic detoxification ability (secondary to vagal efferent deficiency states) and have been classified within the medical literature. Keep in mind that altered thyroid hormone patterns can be a result of hepatic and renal pathology, as well as catabolic states such as those induced subsequent to severe injury, illness, or trauma. Lifestyle factors, such as stress, caloric restriction, and exercise also influence the metabolism of thyroid hormones. Toxic metals, xenoestrogens and drugs inhibit 5′-deiodinase. Beta blockers, antiarrhythmic, antianginal, and corticosteroid drugs are 5′-deiodinase inhibitors (J Clin Endocrinol Metab 1975;41:911; Thyroid 1991;1:273-77; Acta Endocrinol (Copenh) 1983;103:254-258; J Clin Invest 1975;55:218; Clin Invest 1976;58:255). Can I ask you what type of magnesium you are taking and in what form? (From Janie: there are many recommended kinds and one popular one is magnesium citrate. But right now, it’s the 350 mg magnesium in my buffered Vit. C powder by Thorne, and I like the same by Vitamin Research Products. Magnesium citrate is derived from Corn (as are all Citrates) so beware.